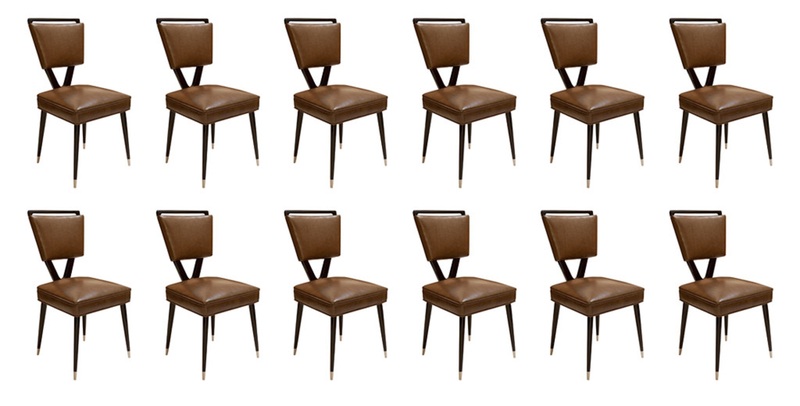 Very nice set of twelve Italian Design Chairs, attributted to Carlo Mollino (Turin 1905-1973). 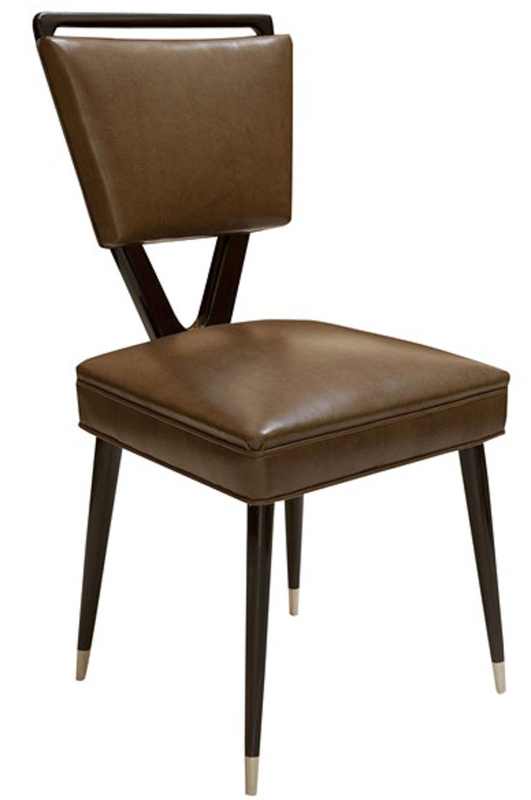 Upholstered in Leather on highly polished rosewood frames. About the Artist: He started working in interior design between the 1930s and 1940s. He was an eclectic man, also an architect, a car and airplane pilot, a ski instructor, a writer and a photographer. His creative talent and brilliant mind allowed him to mix in a completely original way natural shapes and artistic elements taken from Baroque, Rococo, Art Nouveau and Surrealism. His furniture clearly showcases his unique style: his pieces are free from the influence of the time’s mainstream style, which typically reflected the geometry and rationalisms of the Bauhaus. Perhaps the secret is that Mollino had them made by small, selected craftsmen, so that he could make last-minute changes if necessary.